Join us today 11:30am at PBBC for Pastor Cunningham's message entitled "Living With A Transformed Mind." 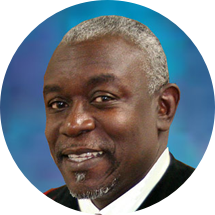 This afternoon's message from Minister Ivan Goodwin is from Deuteronomy 29: 29 and Romans 8: 26-30 entitled "A Call To Commit." This afternoon's message from Pastor Cunningham is from II Corinthians 13: 5-14 entitled "What Do You See In Your Mirror?" © 2017 PBBC | Developed at Maple-design.com.